So if we move in all three planes, and indeed we do...doesn’t it only make sense that we would need flexibility and strength ...we would need to train and rehab in all three planes as well? I am not sure what took us so long to get back to the importance of the transverse plane and of the kinetic chain but we are finally getting there. More and more research is published every month to substantiate the importance of training and rehabilitating with the understanding of biomechanics and the importance of kinetic chain linkage. 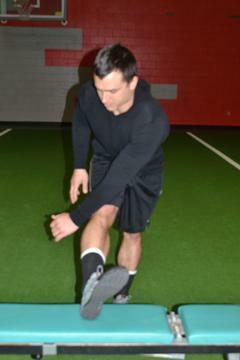 The research demonstrates the importance of the left ankle function in a right handed pitcher with elbow pain4; the importance of hip abductor and rotator strength in patello-femeral pain5 , the importance of utilizing joint position influence to modify or “tweak” both exercise and evaluation techniques6 and that alteration of joint position affects muscle length7. As a physical therapist, most often the job is to assist the patient to rehab back to the very activity that got them to the office in the first place..whether that be back to their job, their sport, or just back to being able to walk with less risk of falling. It is imperative that as a PT , one understand how the links influence one another and how to utilize this knowledge-backed by the research to design safer and more effective treatment and training programs. ³ Von Baeyer, Hans 1933 International Orthopedic Conference and 1955. Kinesiology of the Human Body. 4 Sciascia et al . The Pediatric Overhead Athlete: What is the Real Problem? 7 Jung et al Effect of Medial Arch Support on Displacement of the Myotendinous Junction of the Gastroc During Standing Wall Stretching. JOSPT. 2009;39:867-874.